Cactus delivered an onshore competency training course to ensure an oil and gas client would be prepared for the upcoming shutdown of their offshore separator vessel. 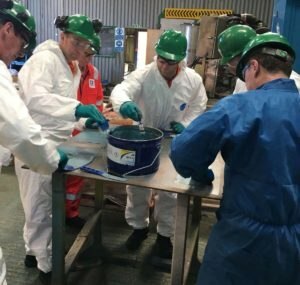 This particular training session focused on a project that required pitting corrosion infilling composite and applying high temperature protective coatings to the offshore separator. 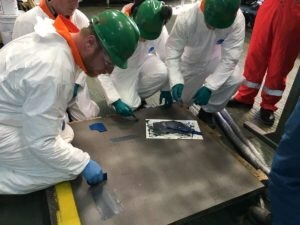 Following the surface preparation stage of the training, the coatings technicians are introduced to Cactus ARC 858 Rebuilding and Faring Composite. This composite is used to fill the pitting, with a short stippled brush and applicator used to contour 858 to the shape of the vessel. It’s vital that no ridges or high spots are evident at this stage of the project – they could protrude through the coating and result in coating failure. This would result in maintenance and down-time issues in future. Having spent time perfecting the ARC 858 application techniques, Cactus training then focuses on coatings. ARC HT-T High Temperature Resistant Trowel Grade Coating is a trowel grade ceramic reinforced abrasion resistant epoxy that offers high-impact resistance. It’s ideal for the base and lower levels of our client’s separator vessel, which will come into constant contact with various liquids, substances and chemicals. 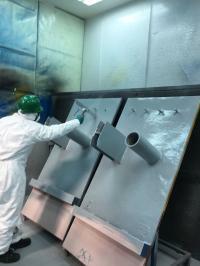 The technicians were also trained in using the Cactus ARC HT-S High Temperature Resistant Spray Coating spray grade. 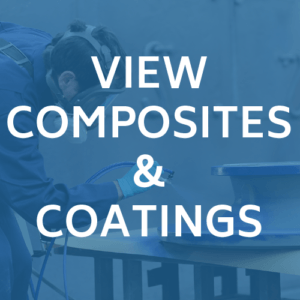 It’s a high temperature resistant, ceramic reinforced abrasion epoxy that protects metal against mild abrasion, corrosion and erosion in elevated temperature immersion. 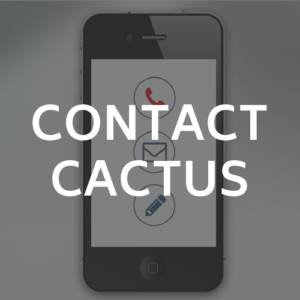 Cactus training covers all elements of coating application – from reviewing the method statement for application and mixing with ARC HT-T and ARC HT-S, to mastering the application techniques. 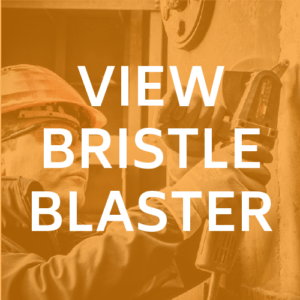 Our on-site training ensures our client’s equipment can be repaired and protected in the fight against abrasion, corrosion and chemical attack.